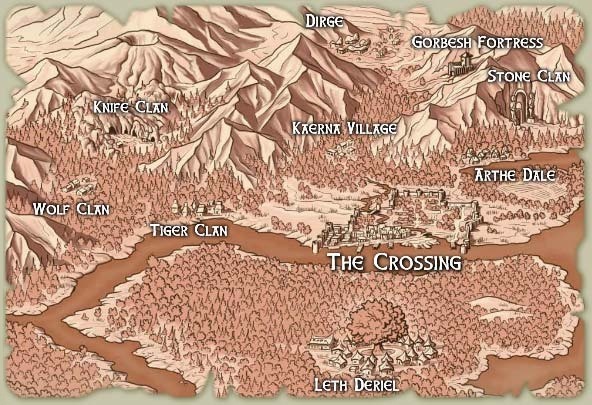 Arthe Dale is a Halfling village on the Northern Trade Route north of The Crossing. Arthe Dale is best known for its popular hang-out at the pastoral Greensward and Swimming Hole. Arthe Dale was founded in the Year 79 After Victory by Daffleberry Tanglefoot, who's ancestors still live in a house at the north end of town. His story can be read in Arthe Dale Tale. Glythtide is the patron god of the town. Play.net Description: The quaint village of Arthe Dale is a refuge for Halflings just north of the Crossing, where the air is sweet with the scent of taffelberries and the sound of laughter. People or things that are from, or made in, Arthe Dale are Dalesian. An example would be Dalesian white wine. Wooly Tanglefoot, descendent of Arthe Dale founder Daffleberry Tanglefoot. The Arthe Dale Concert Series has been hosted at the Arthe Hollow Inn almost every month since December 2000. The series is run by Bard of great reknown Daerlynn. The series celebrated its 100th concert and 5th real life year of production on December 2, 2005. 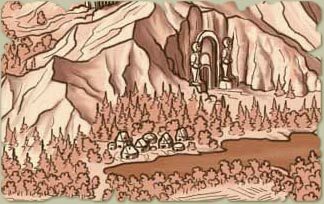 The nearest favors can be obtained by traditional Favor Orbs in the Siergelde Ruins out the West Gate of The Crossing. They can be redeemed in The Crossing Temple. This page was last modified on 27 December 2018, at 22:48.